2. Jackie Bradley Jr. continues to tear the cover off the ball. He is second among all AL players this spring with a .519 batting average and first among all AL players with a .618 OBP. Those are absurd numbers, and sure a lot of them have come against AAA pitchers or major leaguers just working on various pitches, but come on. Who would you rather have in the lineup - the electric JBJr, or Daniel Nava? Ryan Sweeney? even Jonny Gomes? Give me JBJr. 3. Alfredo Aceves is back from the World Baseball Classic where he was centrally-involved in a violent bench-clearing brawl. Fettuccine was thrown to the ground by a house of a Canadian outfielder, then had to be held back by Canadian coach and former major league all-star Larry Walker. Walker, in what is perhaps the best quote I have ever seen anywhere, said, “I had a hold of him, and I thought I saw Satan in his eyes”. Ladies and gentlemen, Alfredo Aceves! If you’re keeping score at home, so far just this spring Fettuccine has blown off a BP drill, was reprimanded by John Farrell and Juan Nieves, was a part of the ugliest scene in the history of the WBC, and was exposed as the embodiment of Satan. Oh yeah, and he’s probably unhappy with his role as a long reliever with the Red Sox. I’m no expert, but this is probably not going to end well. 4. Stephen Drew remains out with a concussion. All reports indicate that he should be fine within the next week or so, and that he will bounce back and be the opening day shortstop for the Red Sox. I say not so fast. My vast medical experience is alerting me that something may be amiss here. No, actually I have no medial experience whatsoever. But I do know that concussion symptoms tend to linger, just ask Ricky Craven (there’s a Maine-centric, obscure reference for you). It helps that this is Drew’s first concussion, but much like the Wu-Tang Clan, concussions ain’t nothin’ to f*** wit’. In fact, I’m going to make this prediction right now: Jose Iglesias starts more games at SS for Boston than anybody else in 2013. 5. Rubby De La Rosa, otherwise known as my man crush, has fallen apart. Is it too late to go back and change my over pick on 3 wins in 2013? De La Rick Vaughn could only manage to get two outs in the 7th inning on Monday, allowing four walks, two hits, and five earned runs. Last Wednesday, De La Wild Thing gave up three runs in two innings against the Pirates. John Farrell says it looks like he’s “overthrowing and not trusting his stuff as he should” (scroll down to next-to-last bullet point). Personally, I think Rubby should be fitted for some black frames with skulls and he’ll be fine. 6. In some depressing stat news, the Red Sox are last among AL teams with only 9 home runs this spring, and “lead” the AL teams by striking out 131 times. Let’s not sugarcoat it: without Big Papi’s bat in the middle of the order, this could be a really bad offensive team. To me, the more alarming of those statistics are the strikeouts. A team can get by without bashing a lot of dingers, but strikeouts are the death knell of offensive production. There’s a good chance we’re really s***ty on offense, which will put even more pressure on our pitching staff. 7. In better news, and speaking of that pitching staff, Jon Lester continues a very strong spring. Lester is second among all AL pitchers with a 1.29 ERA and is tied for the lead in innings pitched with 14. We all said it when Farrell was hired, but if Farrell does nothing else as manager of the Red Sox but get Jon Lester back on track as an ace pitcher, then hiring Farrell will have been worth it. For those of you out there preparing for your 2013 fantasy baseball drafts, do yourself a favor and target Jonny Lester is More-ter. 8. Speaking of good news, is anybody else taking delight in the fact that the Yankees are so desperate for corner infielders that they called Derek Lee to try to talk him out of retirement and reached out via Twitter to Chipper Jones? The Yankees are so desperate for old corner infielders that Kevin Millar got into the act. The sad part, if you're a Yankees fan, is that Kevin Millar right now would probably be an improvement on what they have at first base. Buahahaha! The day of reckoning is upon the Evil Empire. I’ll save my extended thoughts on the 2013 Yankees for an upcoming podcast, so for now let me just say, “hey Yankees, tell me how my a** tastes”. Pitching Breakdown: The pitching boils down to one decision does Daniel Bard make the team or not? If he pitches well from now until the end of spring training you have to keep him. It's the only chance of getting him back to his form as a top set up man. If he goes to AAA he will fall back into the bad habits of last year. He needs to be close to Nieves/Farrell. So if he stays who goes? Good question, sending Tazawa down would allow you to keep everyone else but it also may put your best set up man in AAA. Something unexpected is bound to happen here. Wow don't know how I entered this Twice?? P.S. Anytime I can watch a clip of Shaq rapping it's a good day. I love that clip. Here is my two cents on Brandon's topics. 1. & 2. 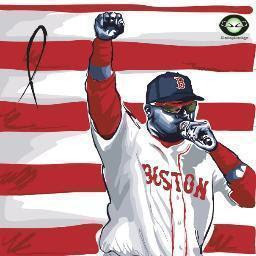 Papi-there always is a magic to Opening Day, and therefore a false importance is assigned to it. Yes, it would be nice if Ortiz was ready from the opening bell, but in reality even if he is out until June 1, he needs to get totally healthy so he can rake when he's back. The same artificial target comes into to play for Jackie Bradley, Jr. Plus by letting JBJr start in AAA, his free agency clock will be set back a year and he can get a few needed AAA at bats. He will be up in plenty of time to help. May 10th or sooner I predict. 3. Aceves- Alfredo will probably be with the team on Opening Day due to injuries to Breslow and Morales shrinking the bullpen. But in the opposite of Papi and Bradley, Aceves will start the year, but I cannot imagine he is not traded by late May, if not sooner. 4. Drew- at this point the news about the concussion seems to be that it is a mild one. I still think Drew adds a lot to this team on offense especially. Unless Drew is injured, I think Iglesias is at AAA until the All Star Break unless Bogaerts pushes him out of the way sooner. But it is true other than Drew, Iggy is the only viable SS option at present. 5. Rubby de la Rosa- has been struggling in recent outings it is true, but considering he is coming back from Tommy John, a nearly full minor league season if need be will not hurt. And apparently, Allen Webster may have passed Rubby as the next guy in line to come from AAA as rotation help if needed. Webster has been absolutely dominated this spring . 14 K's to one walk in 11 innings. But do not be surprised if this is just a blip for Rubby and he has a strong 2013. 6. Time will tell, and it is no question Ortiz is the heart of the batting order, but I will be shocked if this is a " really bad" offensive team. Mediocre is the floor projection with a ceiling of at or near the top of the AL in runs scored. If Ortiz managed to be out for most of the season ( which no one seems to be expecting) then the O takes a hit. To me, Papi is not even the key returning piece for the offense. To me by far it is Jacoby Ellsbury. If he gives you 80% of 2011, with Pedroia, Napoli, Middlebrooks ( hopefully Ortiz) and others behind him he scores a ton. If he gives you 95-100% of 2011, he becomes your #3 hitter further strengthening the middle and allowing JBJr to hit leadoff. If he busts or is hurt again, they may head down to that "really bad" offensive season. 7. I fully expect both Jon Lester and Clay Buchholz to match their best seasons. Look Lester is 29 and Buch is 28, we are not hoping for the resurrection of two 38-40 year olds. They will lead a very successful rotation. 8. Yanks- I know I have been beating a broken down horse for years now, but it is a fact the New Yorkers are old and currently very injured. Tino Martinez and Scott Brosius have been seen taking grounders in case they get the Opening Day call. The Yankees are one of five teams ( yes all of them) in the AL East that could finish last as well as first. If the injuries continue to mount, the fifth place finish may loom larger for the Bronx Band-Aids. I don't think "Carp is on the team" unless he shows a little more offense than one HR, a low-.200s BA, and an OPS lower than Iggy's. Papi's injury may have won him a spot leaving camp but it amounts more to an extended trial than a safe roster spot. They spent nothing to get him (no prospects, just money, of which they have plenty), so he's got to earn his way aboard. Overbay is the proven glove at 1B, so if his bat continues to warm up he makes it ahead of Carp. Nava has been playing 1B, LF, and RF, which shows me that they see more versatility in him than any of the other candidates but he has an option remaining and they may use it to give him more practice at 1B and RF in AAA. Sweeney has been making things happen at the plate lately and is the best defensive OF bench option. Ciriaco is running away with the IF bench spot. All things being equal at the plate (and Carp is behind at the moment), Carp may be on the outside looking in because his defense is not as good as Overbay's at 1B or anyone's in the OF. The bottom line is he needs to start hitting. In the bullpen, I don't think Mortensen is a lock. I think if Bard continues to throw strikes he makes it, as we all know what his ceiling is. Farrell as manager is helping more than just Lester. Mortensen may well make the club because of other reasons: 1) Tazawa may start the year as Pawtucket's closer, perhaps as a taste of things to come in '14 or '15 while being available in the event of injury; 2) Aceves may well be traded before the season altho the Sox were probably hoping he'd do more in the WBC to help his trade value than blow a save and become the focus of a brawl. The wild card there is Webster. He appears ready for primetime and I'm not sure Doobie is out of the woods yet in terms of being ready to throw 100 pitches to start the season. The good news is that we don't need a 5th starter until about 4/15. However, I'd rather trade Aceves and start Webster over Mortensen if Doobie's in the bullpen than any other alternative. This quote from John Farrell is why I don't think that Overbay will make the team. The quote comes from boston.com and it is Farrell's response to a question about Napoli DH-ing full time early in the season while Papi is out. "Haven't seen that it's necessary," Farrell said. "If there wasn't as much advancement on the defensive side, then you might say say there's a different combination of players that will fill out this roster. I'm not excluding anyone that's in camp here. But he's made such strides defensively." He's talking about Napoli's defense and even though he says it doesn't exclude anyone on the roster it actually does give us some insight as to how he and Ben C. are thinking. This doesn't mean that they won't change their mind, but I don't think they'll keep Overbay because they don't see the need for a late inning defensive replacement early in the year. Defensive replacements aren't hard to find at the trade deadline either. Overbay is also the only one in that group who doesn't have any position flexibility. If he could play some LF then he would have a better chance of making the team. I wasn't in the Mortensen would make it camp until the other day when Farrell mentioned something about him giving batter's a different look. I think they like the idea of having him come in and give hitters a different look out of the bullpen. His delivery is herky jerky and he is a change up specialist. That can be an effective change of pace, kind of like a knuckleball, for an inning or two at a time. With the new pope being named today maybe it will be possible to trade satan now. Tomase sums up the argument for keeping Jackie Bradley Jr. on the big league club to start the year better than I could. Go and read it. I dare you to disagree. Just kidding, we welcome dissenting debate here. Just know that you will be wrong. The Red Sox say they want to win now. They say they want to get back to the postseason in 2013. If they're serious about this and not just trying to placate their season ticket holders, then JBJr should be our opening day starter in left field. JBJr, Ellsbury, and the Flyin' Hawaiian would make up the best defensive outfield in the AL. JBJr can clearly hit and do just about everything on a baseball field well. In 2011 and 2012, the Red Sox had abysmal starts to the season. In 2011, they recovered. In 2012, as we all remember, they never did. It would be great if they could come out of the gates on top of the AL East, instead of treading water while they wait for Big Papi. I don't think they will do that with a lot of at bats by Mike Carp, Daniel Nava, or Ryan Sweeney. I have stopped buying the argument that he should be kept in AAA to delay his free agency clock, or for more seasoning. Look around baseball today. It has become standard practice for teams to lock up their young stars with long-term contracts before they sniff free agency. If JBJr fulfills his potential in Boston, he'll be locked with with a long term deal by 2015 or 2016, long before free agency. He doesn't need more seasoning. He needs to be our everyday left fielder and a spark plug for our lineup. The Boston Red Sox are not the Pittsburgh Pirates or Tampa Bay Rays we shouldn't be making decisions based on starting someone's free agent clock. I think the decision comes down to what is best for JBJr's development. Does he need more seasoning in the minor leagues? Those are the questions that the people who get paid to make those decisions need to get right if they want to keep their jobs. The Red Sox should not be making decisions based on a player's "arbitration clock" because they can afford to pay anyone, but if they waste a year of the "free agency clock" ( and I believe Boras is JBJr's agent) it is possible they lose him an entire year earlier down the road, just because they did not keep him in AAA for a few weeks. Now I am not so sure I would not say screw it, let's go for the win in the parity driven AL East , and keep JBJr. from day one. I just do not think they baseball ops dept. will do it. If Bradley starts the year in the minor leagues it better be because that's what will make him a better player in the long run. Not because of any clocks. Speaking of clocks...JBJr's clock got moved ahead faster than any daylight savings time this spring. No matter where Bradley begins the season I bet he plays more games in the OF for Boston this year than anyone else not named Jacoby Ellsbury. Boesch was a sleeper breakout candidate after getting the everyday RF job in Detroit prior to the 2012 season on a lot of fantasy publications I saw. He clearly underperformed those projections. Nevertheless, he has the potential to be an upgrade over the Nava, Sweeney, Carp group. Although the article mentions Boesch hits left-handed pitching better in his career, even though he is a left-handed hitter. So who knows? He may not be any better than Nava, Sweeney, or Carp, and he wouldn't be a great platoon partner with Gomes. And anyways, Jackie Bradley Jr is going to be our starting left-fielder so I guess we don't need Boesch. I'd rather have Boesch as a 4th outfielder than Ryan Sweeney. Boesch can play RF better than Nava or Gomes. Boesch isn't going to be an all star or anything but he at least has a fighting chance to hit a pitch over the wall, which Sweeney has 0 shot of doing. If he passes through waivers the Sox should go get him. Let us hope that Boesch is not too much of a help this year. He signed today with the Yankees. 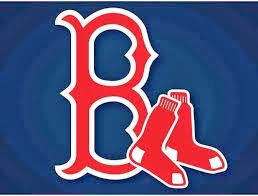 Can Red Sox Get Much Needed Fast Start in 2013? Red Sox Maineiacs Podcast: 2013 AL East Preview! The Opening Chapter to Francona the Indian Years? What if Big Papi Starts the Year on the DL? What Has Happened to the Hot Corner?